Leishmaniasis is a syndrome caused by the protozoan parasites which is transmitted by the bite of the female sand fly. The disease has three major forms: Cutaneous, Mucocutaneous and most fatal Visceral Leishmaniasis (VL) in affected individuals. Additionally, some of the VL patients (<1%) develop stigmatizing post-kala-azar dermal leishmaniasis (PKDL) characterized by skin lesions in which parasites can be identified, who is otherwise fully recovered from VL. On the Indian Sub-continent, a joint VL elimination initiative has been launched in 2005 by the Governments of India, Bangladesh and Nepal. The main strategy to achieve this is entrusted to the public sector primary health care (PHC) services that should ensure early diagnosis and treatment of the disease. However, the current therapeutic options for treatment remains limited and treatment of patients are complicated due to the paucity of effective drugs or due to the toxicity caused by the available anti-leishmanial drugs used. Other limitations are the duration of treatment and expenditure on hospitalisation. Besides this, drug resistance in clinical settings has further aggravated the problem to the next level. Therefore, there is a need for cost-effective therapeutic alternatives for an excellent leishmanicidal potential that can be conferred to the target cells with no side effects/toxicity to normal cells, higher efficacy and minimal cost. Nanoparticles, due to their outstanding physical and chemical properties, have shown effective environmental, biological and biomedical applications and could be helpful in the detection and elimination of vector-based infectious diseases. In this chapter, we have summarized the current challenges in diagnosis and treatment of leishmaniasis and discussed the wide range of nanomaterials showing promising applications in leishmaniasis. This work was supported by Department of Science & Technology (SR/NM/NS-57/2016), New Delhi (Under nano-mission), and in part by the Extramural Program of the National Institute of Allergy and Infectious Diseases, National Institutes of Health (TMRC grant number U19AI074321). The funders had no role in design, decision to publish, or preparation of the report. Boelaert, M., Verdonck, K., Menten, J., Sunyoto, T., Chappuis, F., Rijal, S. (2014). Rapid tests for the diagnosis of visceral leishmaniasis in patients with suspected disease. Cochrane Database of Systematic Reviews, (6):CD009135. https://doi.org/10.1002/14651858.CD009135.pub2. Rodrigues, V., Cordeiro-da-Silva, A., Laforge, M., Silvestre, R., & Estaquier, J. (2016). Regulation of immunity during visceral Leishmania infection. Parasites & Vectors, 9(1), 118. https://doi.org/10.1186/s13071-016-1412-x. Sundar, S., Singh, A., Chakravarty, J., & Rai, M. (2015). Efficacy and safety of miltefosine in treatment of post-kala-azar dermal leishmaniasis. The Scientific World Journal, 2015, 414378. https://doi.org/10.1155/2015/414378. Epub 2015 Jan 1. Torres-Guerrero, E., Quintanilla-Cedillo, M. R., Ruiz-Esmenjaud, J., & Arenas, R. (2017). Leishmaniasis: A review. F1000Research, 6, 750. https://doi.org/10.12688/f1000research.11120.1. eCollection 2017. Torres-Sangiao, E., Holban, A. M., & Gestal, M. C. (2016). 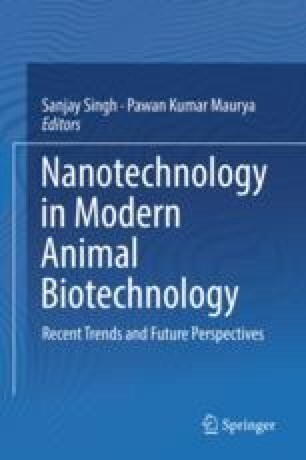 Advanced nanobiomaterials: Vaccines, diagnosis and treatment of infectious diseases. Molecules, 21(7), 867. https://doi.org/10.3390/molecules21070867. WHO (2018). Leishmaniasis, background information. [Online]. Available: http://www.who.int/leishmaniasis/en/. Accessed 19/02/2018.